The video triptych formed the basis for development workshops and public engagement sessions led by CCDS Artistic Director Holly Bright, starting in February 2011. 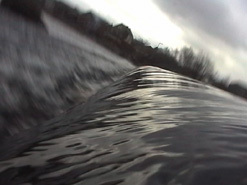 It will be screened as an integral part of What the Water Whispers, January 2013. Crimson Coast Dance Society is a leading contemporary dance company in British Columbia. This new production is funded by CCDS and Nanaimo Art Gallery.